Updated Thursday August 23, 2018 by Arizona Outlaws Lacrosse. It was the sports moment of a lifetime for the Arizona Outlaws. The local lacrosse team won three gold medals at the U.S. 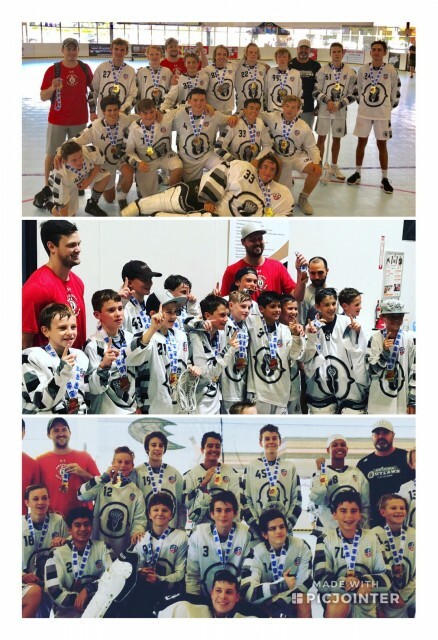 Box Lacrosse Nationals in early August in Huntington Beach, California. Arizona’s Family caught up with the Outlaws when they returned home to the Valley. The Outlaw club is only 2 years old. Coach Ben Prepchuk brings a wealth of experience to Arizona. He was the No. 3 overall pick in the 2000 National Lacrosse League early entry draft. Prepchuk played 99 career games. The Outlaws coach also coaches at Arizona State University and has seen the sport skyrocket since arriving in Arizona. You could make the case that lacrosse is the fastest growing sport in Arizona. For kids looking to get involved in lacrosse, the Outlaws will play a club schedule during the school year.